Despite mostly taking place in the far-off reaches of outer space, Thor: Ragnarok hits very close to home for many Marvel fans. Like most films from the Marvel Cinematic Universe, it's full of some pretty deep cuts into the comics pages. Here are a few Easter eggs you'll find in Ragnarok—and of course, watch out for Hulk-sized spoilers ahead. 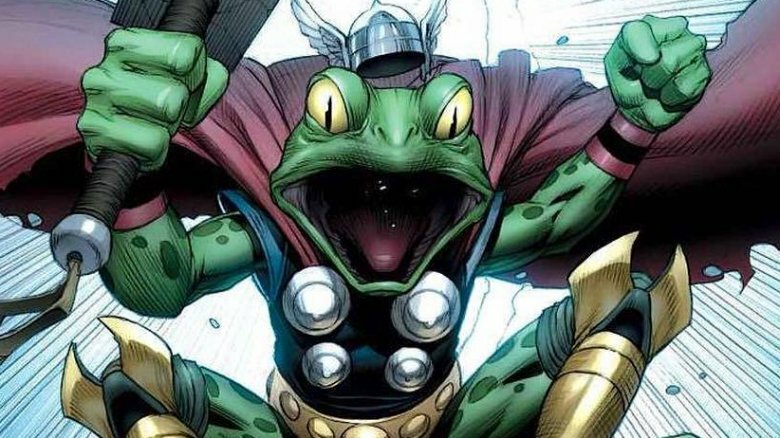 The first and most obvious reference to Marvel Comics' strange history comes when it's revealed that Loki once turned Thor into a frog. That really happened—for a couple of issues, at least—during one of Loki's many attempts to overthrow Asgard. It all starts in Thor #364, and winds its strange way through "Thor, Frog of Thunder" meeting a bunch of rats, escaping death by alligator, playing a game of Frogger across a road, and having a run-in with a psychic-flute-playing Morlock in the sewers. While a completely different "Throg" would also take up the mantle after Thor reverted back to his hunky Asgardian form, it's such a weird part of Thor history that it may just be one of his most iconic tales—and one that nobody ever thought they'd see referenced in the MCU. 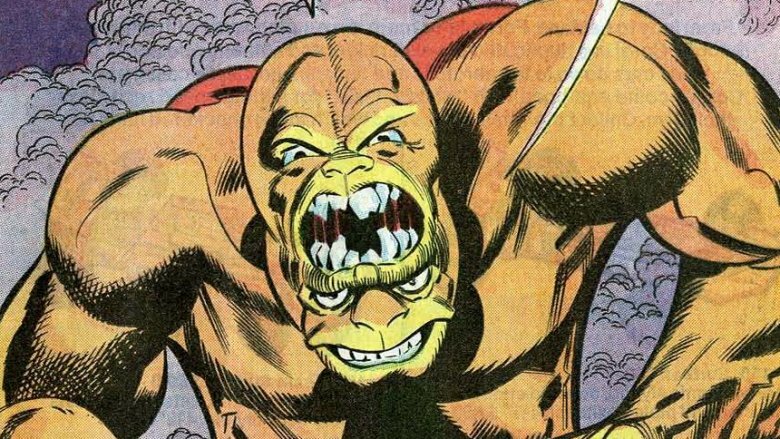 Throg isn't even the most unexpected character to show up in MCU continuity over the course of Ragnarok. Sure, weirdos like Howard the Duck and Cosmo the space-dog are strange, but it rarely gets more bizarre than the four characters whose enormous busts are positioned around the Grandmaster's tower, all of whom were presumably champions at one point. First, there's Bi-Beast, a robot built by the Bird People, who bears a pair of impossibly-stacked faces, and made his first appearance in The Incredible Hulk #169. 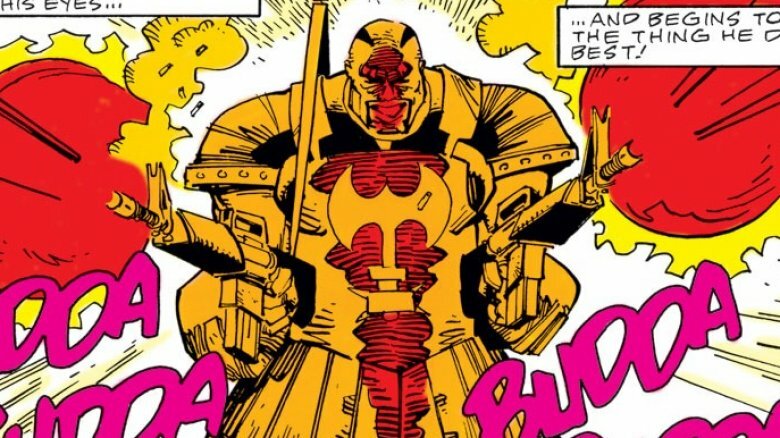 You'll also find a bust of Ares, Marvel's very own god of war who first appeared in Thor #129, and another character whose power seems far too enormous to comfortably slip into a Marvel film. 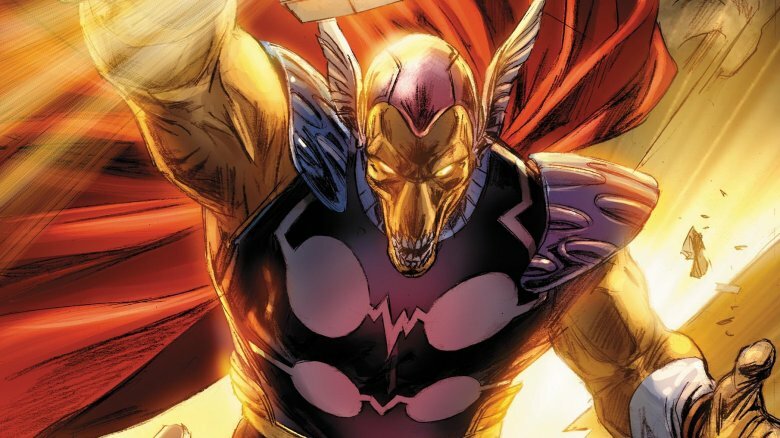 Third, there's Beta Ray Bill, an alien with the same powers as Thor, and a powerful ally to Asgard who first appeared in Thor #337. Finally, there's Man-Thing, a magical scientist-turned-swamp monster who's definitely from Earth, and the only one among these champions to not have a special connection to Hulk or Thor. As the garbage dump of the universe, Sakaar really sees some diversity. By the end of Ragnarok, we have a bunch of homeless Asgardians floating around in a spaceship, which is a scene that might seem a little familiar to Marvel true believers. In Thor #337, a Korbinite alien named Beta Ray Bill is in a similar situation when Thor finds him floating around on a ship called Skuttlebutt, which itself bears some resemblance to the Asgardian's escape vehicle in Ragnarok. He, too, is a champion of his people and in search of a new home after Surtur destroyed their planet. If Bill's giant bust on Sakaar's display of champions is any indication, his story didn't end nearly as positively as it did in the comics. Once on Sakaar and enslaved by the Grandmaster, Thor gets the rundown on the whole gladiatorial arena thing, courtesy of a Willy Wonka-styled trip through a horror tunnel, and an explanation from the Grandmaster himself, who refers to his staged fights as a "contest of champions." 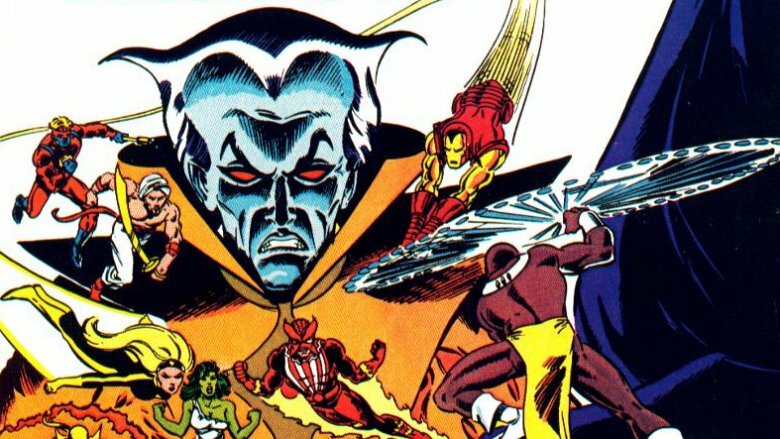 Not coincidentally, Contest of Champions is the exact title of a 1982 Marvel miniseries starring the Grandmaster, who challenges Death to a duel, using Marvel's best and brightest as their champions. Their heroes included Iron Man, Captain America, and… Defensor and Arabian Knight. They weren't all winners. While Thor's original lady captor isn't ever given a formal name aside from "Scrapper 142," she's generally referred to as "Valkyrie." There's some precedent for both names, even if neither are totally correct. 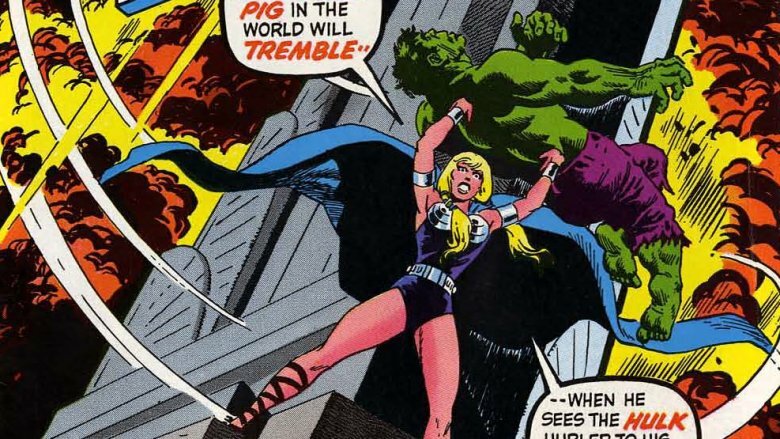 Marvel's Valkyrie, or rather an imposter version of her created by the Enchantress, plays a major role in a one-shot tale in The Incredible Hulk #142. 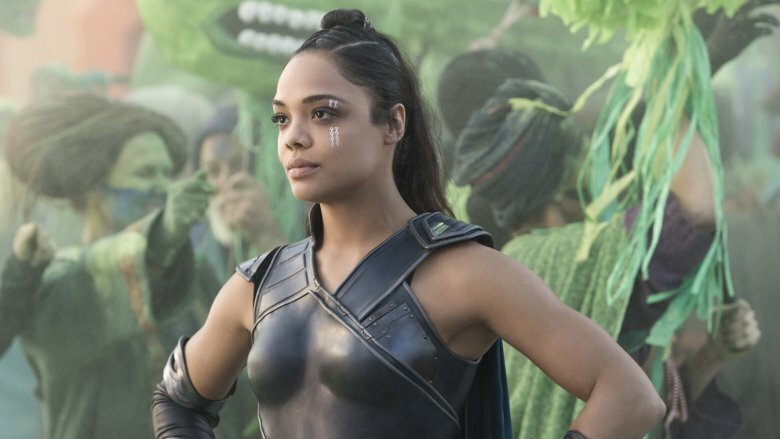 The Valkyrie in Ragnarok isn't the one and only Valkyrie, and the number 142 is a pretty big hint that she's just borrowing the name for now. So, where's the real Valkyrie? It's possible that we see Marvel's original heroine being speared during Scrapper 142's flashback battle with Hela. Given that the word "valkyrie" also applies to a whole regiment of warrior women, it's safe to assume that the name probably gets passed around a lot. One of the most confounding things in MCU mythology is the presence of the Infinity Gauntlet. While it's become the locus of absolute power over the course of Marvel's films, it made its first appearance in the original Thor, as a treasure stored safely in Asgard. 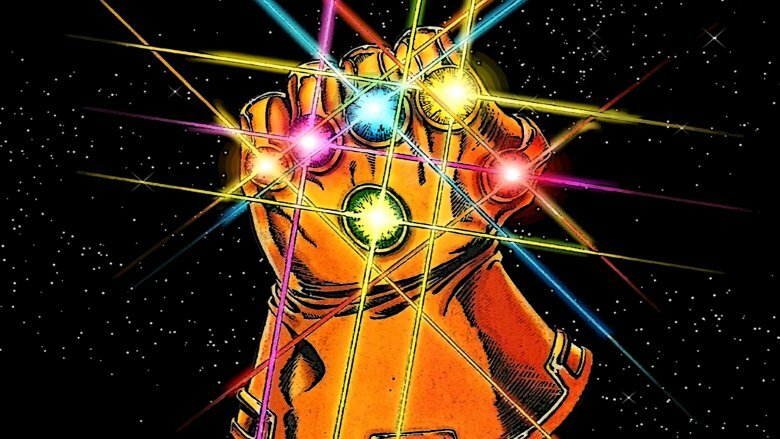 While it was mostly a throwaway reference to some intense, cosmic Marvel stuff, it led many eagle-eyed Marvel fans to wonder why there was more than one Infinity Gauntlet floating around the MCU, since Thanos clearly had one too. The entire scenario is retconned in one line when Hela declares the Gauntlet in Asgard to be a fake and knocks it off of its pedestal. Problem solved, right? But why did Odin keep a dummy glove in his basement? Was it a decoy? Did he think it was real? Or did he just pick it up at Comic-Con and think it really tied the room together? The world will never know… but at least that Tesseract was the real deal. And if leaked footage from Infinity War is any indication, it's probably in Thanos' meaty hands by now. 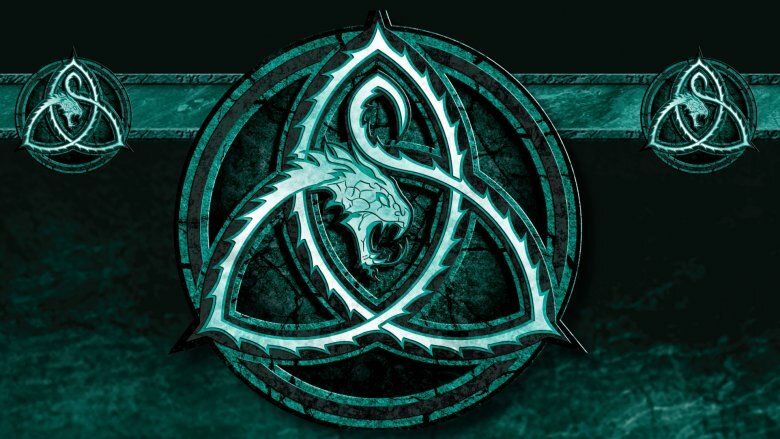 And what about the last, missing Infinity Gem, the Soul Stone? Could that possibly be Asgard's Eternal Flame, which Hela calls "true power"? We'll have to wait and see. Old-school comic geeks could tell from Ragnarok's early trailers that the film would draw very heavily from the art style of Jack Kirby, one of Marvel's original architects and the original artist of Thor. 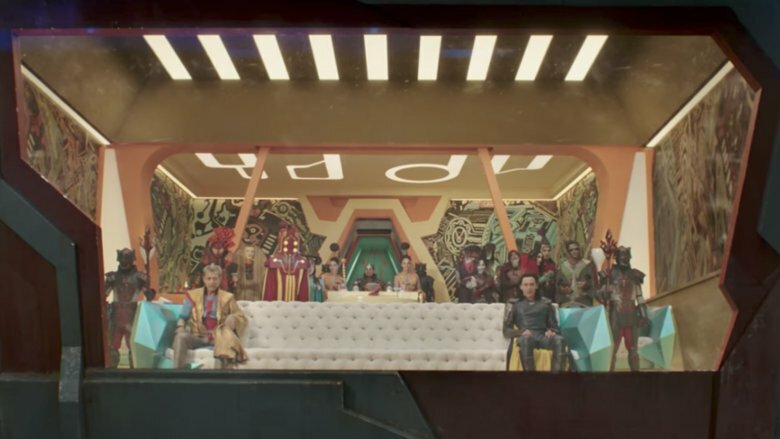 A vast majority of the costume designs seen on Sakaar were based on Kirby's drawings of Celestials and other strange alien gods, but one thing was pulled directly from Kirby's comic pages: the enormous drawings on the walls of the Grandmaster's viewing chambers. The guy's got amazing taste. And of course, nobody missed Thor's original creator, Stan Lee, as Sakaar's shaky-handed barber, right? And speaking of Marvel's many creators, there's also cousin Carlo. He may be a bit of a throwaway character, and he's most definitely melted all over the Grandmaster's floor, but he was named after artist Carlo Pagulayan, who illustrated part of Marvel's Planet Hulk storyline, which served as the inspiration for much of Ragnarok. One of Marvel's other large story arcs in the past decade was Fear Itself, an event that hinged completely on Asgardian mythology—and a whole lot of mystical hammers falling to Earth and causing trouble, as falling mystical hammers will usually do. While the various Thor films have drawn heavily on the imagery from Marvel's comics, it looks like Dr. Strange himself does as well. As he's casting a spell to transport Thor and Loki to find Odin in Norway, the sparking symbols in front of his hands briefly form a tri-pointed, Norse-looking shape…the logo from Marvel's hammer-filled story arc. In what might be one of the most unexpected cameos in all of the MCU, we're treated to Matt Damon and Sam Neill as, well, actors, playing the parts of Loki and Odin respectively, in Loki-Odin's very own self-aggrandizing play. The actor playing Thor is a little harder to pin down, because he looks a lot like Chris Hemsworth. 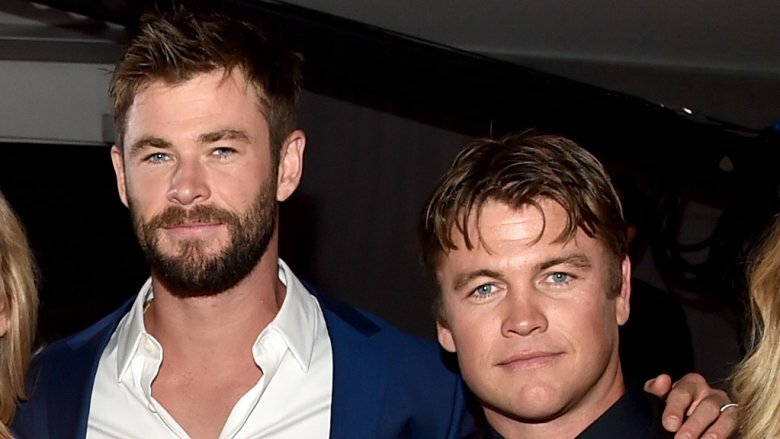 The reason for that is that he's played by another Hemsworth. Chris' bro Luke steps into the role, and although it's brief, it's a pretty cleverly cast, handsomely Hemsworthy Easter egg. They might not be Easter eggs, but Ragnarok pays a lot of respect to Thor's comics origins in many subtle ways. Skurge, Hela's unwilling executioner, snagged both his axe and his favorite pair of guns, and just like his comic counterpart, died while protecting Asgard from Hela's legions of the undead, as in Thor #362. Thor himself also takes a cue from his own earliest issues. While comics Thor once disguised himself as the enfeebled Donald Blake, MCU Thor is instantly recognizable, all of the time. But much like his comics counterpart, MCU Thor has the sense to disguise his mighty hammer while he's trying to fit in as a civilian on Earth; in the comics, he tapped it on the ground and it transformed into a walking stick. In Thor: Ragnarok, it's an umbrella. Close enough.